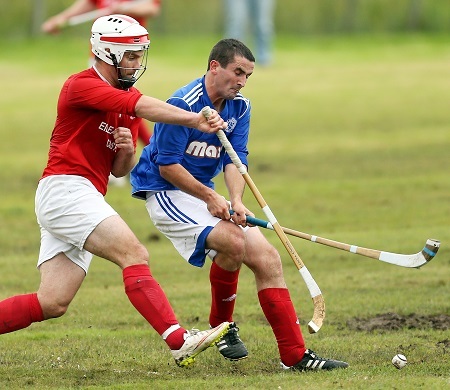 Shinty history beckons this Saturday when Kinlochshiel meet Kyles Athletic for a match which will – in all likelihood – determine which of the two clubs wins their first ever Marine Harvest Premier League title. The margins could hardly be finer ahead of a fixture which for several weeks has stood out as a potential decider. Kyles – runners-up on a few occasions but yet to add the premiership to their roster of honours – have the lead on goal difference after the title race took another twist last weekend. But Kinlochshiel, an emerging force in the game having this season discovered a consistency to add to their unquestioned talent, will look to make home advantage count in their bid seal a maiden title only one year after the club lifted its first senior honour. A compelling title race which had swung in the direction of Kinlochshiel seven days previously, edged back towards the Argyll side last weekend. 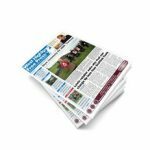 Kyles beat Newtonmore 1-0 – a result which also officially ended Newtonmore’s seven-year grip on the title – while Shiel were held to a 2-2 draw with Glenurquhart. However, the closure of the one-point gap will probably only alter the dynamic if Saturday’s match ends in a draw. Little wonder, then, that both camps are viewing the clash as a cup final. 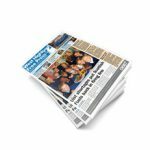 Kinlochshiel manager Johnston Gill said the dropped point against Glenurquhart would do little to dent the confidence of a squad which has put together a 10-match unbeaten streak following a mid-season blip which ended their interest in all the cup competitions. “We’re disappointed to have dropped a point, but it hasn’t really changed things that much – we are still there,” he said. After losing two early goals Shiel dominated for long spells against relegation-threatened Glenurquhart, but “it was one of those days when the ball just wouldn’t go in the net for us,” reflected Gill, who will have a full squad at his disposal this Saturday. With wet weather having ruled out Kirkton for last weekend’s match, Shiel made the switch to Kiltarlity to get the game played. The manager, however, had no intention of giving up home advantage for the game against Kyles. “We have already been on the road a couple of times to get games played, but it’s not fair to our supporters,” he added. Having lost ground following a recent defeat to Lovat, Kyles Athletic manager James Perlich was delighted to see his team grind out victory against Newtonmore. Sandy Mackenzie’s first half strike was enough to send Kyles back to the summit in a match held in Oban due to a waterlogged pitch at Tighnabruaich. 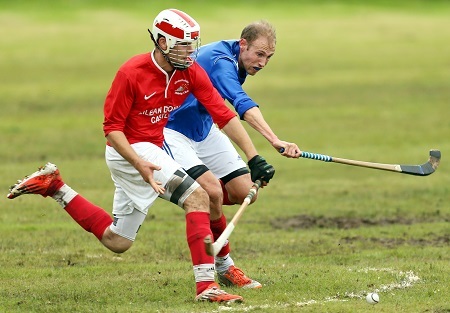 “There had been some reports suggesting Newtonmore would be taking their eye off the ball ahead of the Camanachd Cup final, but as they always are they were all out to win. We had to fight hard for victory on Saturday,” added the Kyles manager. Kyles defender Callum Millar has little chance of making the squad, following a lengthy injury lay-off, Perlich said. He added that concerns over Donald Irvine – an Aberdeen-based doctor who clocks-up the miles for his home club – had eased in the early part of this week. Kyles most notable absentee remains the suspended top-scorer Roddy MacDonald.